Mumbai: Television industry workers called off their strike on Wednesday bringing relief to millions of television (TV) viewers who have been forced to watch repeat telecasts of serials. “All the disputes between workers and producers have been settled and we are signing an agreement," vice-president of Indian Motion Picture Producers’ Association (Imppa) Shushma Shiromani said. In the backdrop of the dispute between TV workers and producers, a consensus was reached on Wednesday when broadcasters and producers met here, following which the strike was called off. FWICE had called for the strike, demanding higher wages, better work conditions and more breaks between shoots. “The hike in pay packages will not be across the board and will only apply to the weaker section of workers such as spot boys and light men. The hours of a typical work day will be 9am to 10pm, after which workers will be entitled to overtime, which will be Rs100 per hour. We are also offering workers perks such accident insurance, and a time slot for lunch and tea breaks. 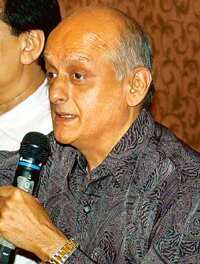 Both parties have mutually agreed to the terms, and work resumes tomorrow," said Mukesh Bhatt, film maker and president of the producers association. “We are relieved that the strike has come to an end and issues are resolved between the workers and producers. Production will start from tomorrow, but the fresh programmes should be on air from next week," said Albert Almeida, executive vice president and business head, Sony Entertainment Television. “There will no revision on advertising rates as of now because we have existing contracts with producers for content at agreed (upon) rates."